Kamilari is a picturesque village in the south of Crete, close to the famous archeological sites of Festos, Agia Triada, Gortina, Como and Matala. Only 2 1/2km away is the long beach of Kalamaki and Como. 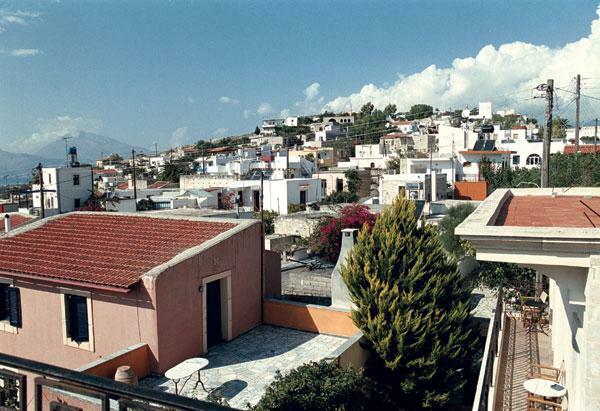 In the center of the village Kamilari, there is the villa Pasiphai. It has been built in 1903 in neoclassical style, restored in 1996, and has a spacey yard and a panoramic view of the sea and the mountains. 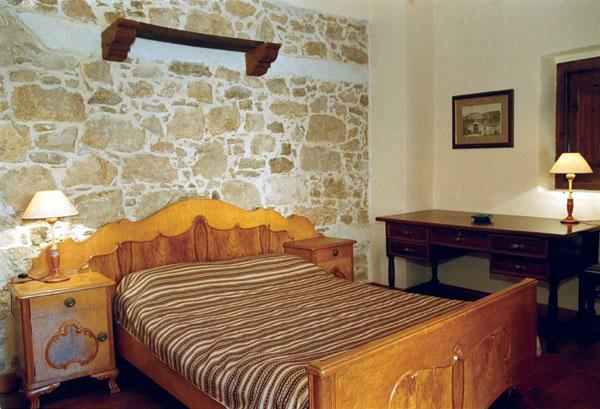 It consist of three traditionally furnished and decorated apartments for 2-4 persons, three studios for 2 persons and one suite (a traditional two-storey house 80 m2, for 2-6 persons with a living room that has a fire place, a dinning room, a spacey fully equipped kitchen with a fireplace, a bathroom on the ground floor and 2 bedrooms on the first floor).All rooms are furnished with original traditional pieces of furniture’s. All studios, apartments and the suite are equipped with a safe, a cooking facility, a fridge, a bathroom, air-condition and heater, satellite TV. There is a large swimming pool as well as a smaller one for children. In addition to this there are large verandas, a garden and a barbeque. The apartments, studios and suite can be booked separately and have all the use of the swimming pool or all together with private use of the swimming pool. 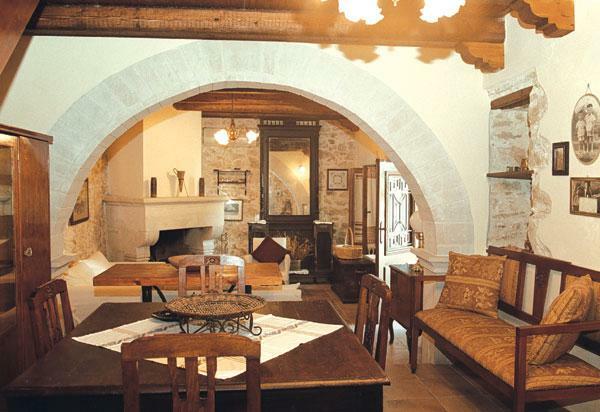 In this case the villa can accommodate up to 22 -24 persons. It is open all over the year.